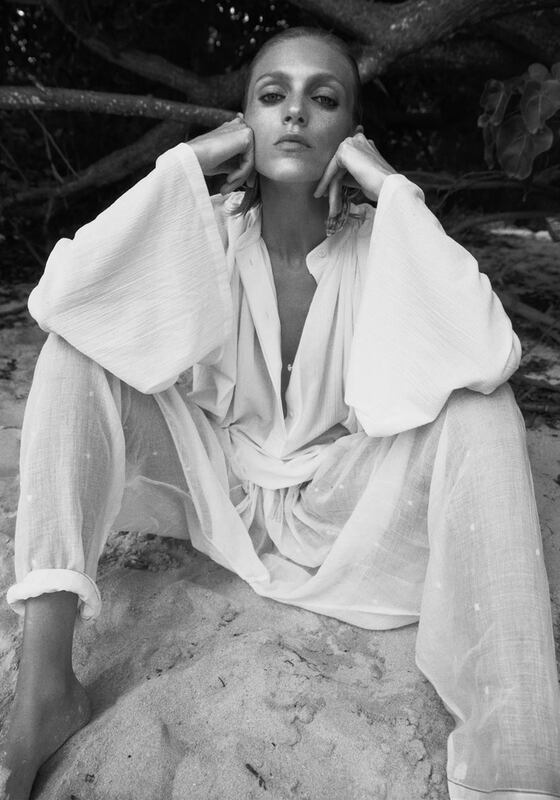 Supermodel Anja Rubik is at her sensual best for the April 2018 issue of Vogue Paris, photographed by the noted Lachlan Bailey. The 34 year old Polish model is a mesmerizing and stunning vision as she drapes herself in feminine and transparent designs for the shoot. Posing at the beach, the model bares skin and her lithe torso, and is styled by Geraldine Saglio in the sun-soaked beach shoot. Drenched in the waves, Anja teases and seduces, and is shot in soft light, turning up the mood as romantic and sensual.